Breeches and jodhpurs available from brands including Shires, ELT Paris, HKM, Gallop, Turfmaster, William Funnel and Harry Hall. A wide variety of breeches and jodhpurs for men, women and children available at fantastic prices and can be delivered worldwide. 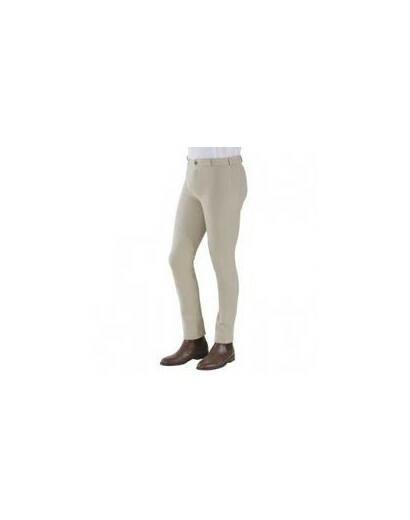 Jodhpurs & Breeches There are 23 products. Designed especially for men, these johpurs are made from a high quality heavy cotton, which makes them an easy wear, easy care item. They are 95% cotton and mixed with elastane (5%) to ensure comfort. The fabric is breathable and generously cut - with the man in mind. They also feature a contoured seat. Colours: Black, Beige, White. Sizes 32" to 40"
These are very comfortable hard wearing and affordable jodphurs, ideal for showing, hunting etc. Dublin Childs Supa Fit Classic Pull On Jodhpurs in Purple Stripe. 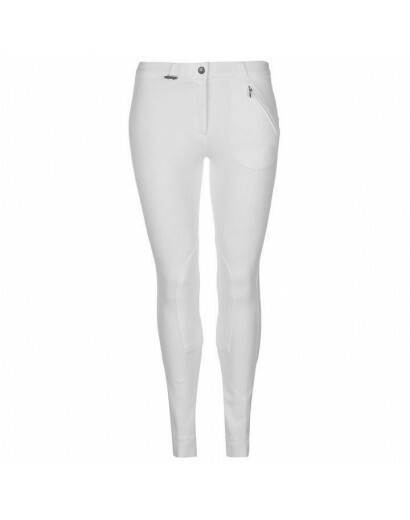 The Dublin Childs Supa Fit Classic Pull On Jodhpurs are fun Jodhpurs ideal to brighten any young riders wardrobe. 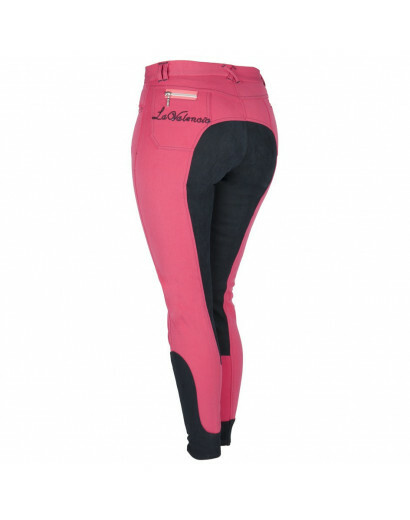 These La Valencio plus riding breech is a ladies breech with a leather seat. The breech has contrasting coloured stitching and stars with rhine stones on the back pockets. Colour: Cobalt Blue Size. 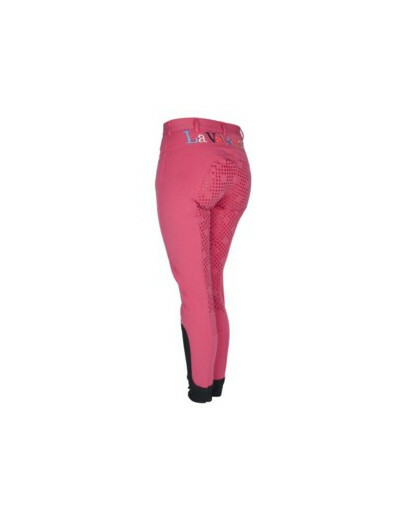 La Valencio Riding breeches Electron has elastic pipe closures and pockets on the front and back. 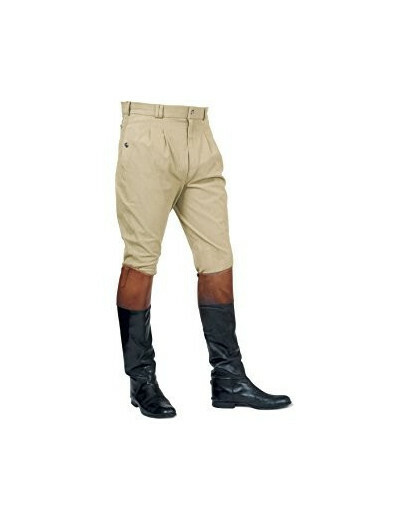 Electron breeches features a La Valencio embroidery on the right upper leg and above the pockets. The color name is: "Pink". Composition: 62% Cotton, 32% Nylon and 6% Spandex. The Dublin Supa Shape It Performance breeches are ideal for the rider who wants the ultimate in comfort and features a thick waistband that sits on the belly button offering great support. Made from a technical, high performance woven fabric they have been developed for breathability and to aid movement. 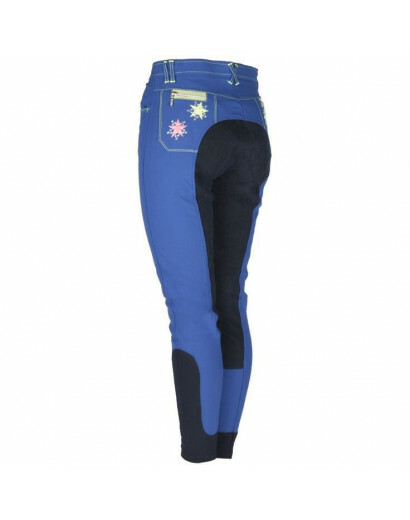 Breeches with silicone knee grip, embroidery on the back pocket and contrast piping along the pockets. Kids breeches with coloured letters and buttons. Sticky bum and inside legs.